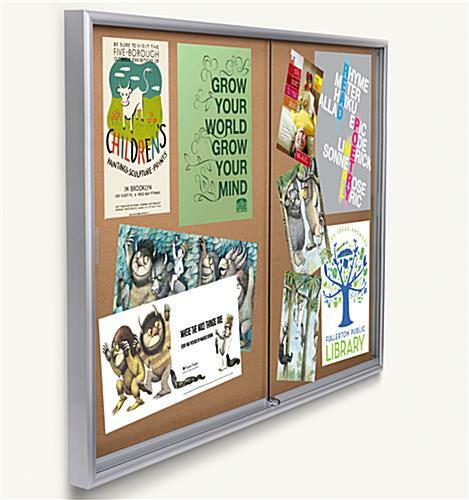 The Cork Board has an Aluminum Border that is Perfect for Placement in Busy Settings. 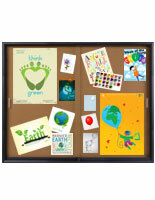 The Bulletin Display Comes with a Black Finish that is Able to Coordinate with Many Spaces. 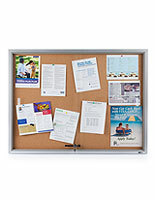 The Cork Board is a Traditional, But Useful Way to Inform Employees. 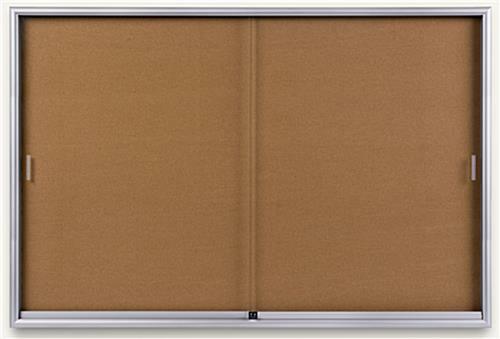 Doors using rolling guides and have a high safety factor because of tempered glass panels. Special Z-bar mount for display require a two-person team for proper placement. 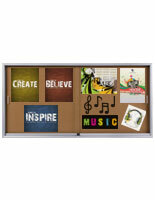 Screws and anchors needed for hanging are provided with purchase along with instructions that are also found below. 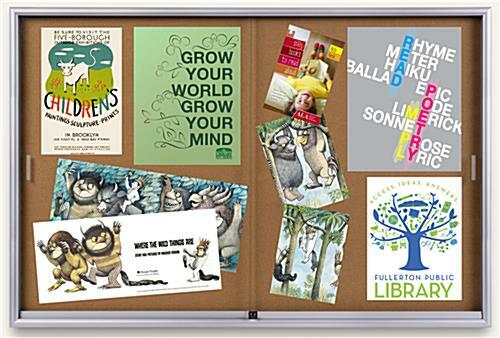 This silver-framed bulletin board, called communication centers, has a large backing to show visitors and patrons lots of information. 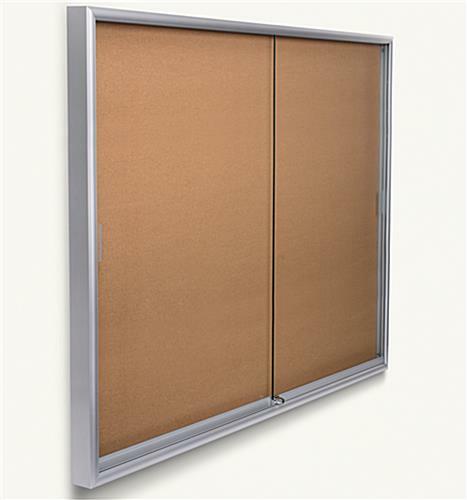 The posting space of the fixtures is enclosed by sliding doors and a decorative frame. 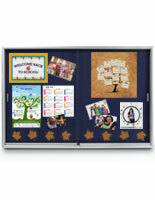 The wall display, bulletin board includes tempered-glass panels and rolling guides that help them to move smoothly. 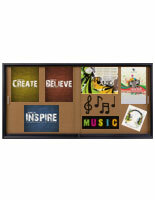 The thin profile helps to make this unit both pleasing to the eye and a space saver. The large bulletin board is an eye-catching fixture and will highlight important information securely with its locking doors. 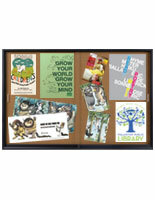 The display unit with aluminum framing is perfect for crowded shopping areas because it is so durable! 72.0" x 48.0" x 1.5"